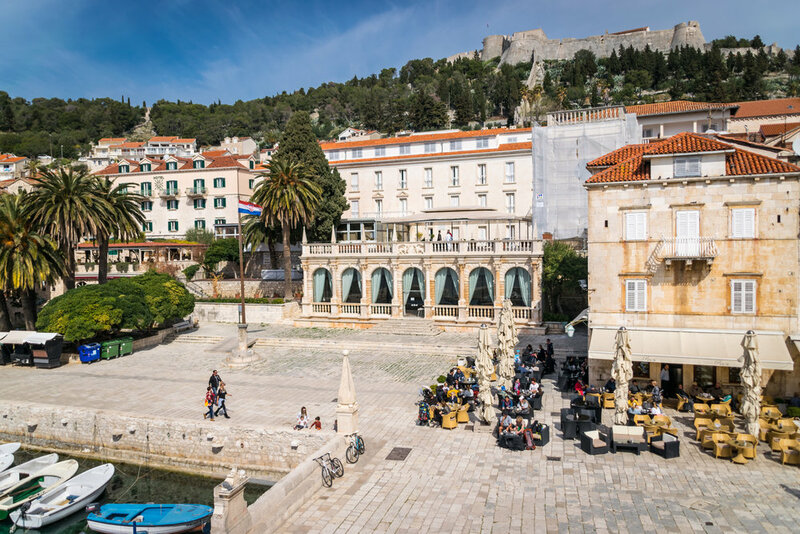 Before visiting Hvar, I didn’t know much about the island apart from it being home to a UNESCO site and a popular summer destination for high-class party people. Meaning that when I visited in March, I had the beautiful, sunny island all to myself, and it was glorious. Hvar is not easy to get to, but well worth the two-hour ferry from Split that leaves and arrives at rather unfortunate hours in the off-season. The ferry port is far from the old town (Stari Grad) where I stayed, so had to taxi to my final destination; buses run in accordance with the ferry schedule, though. 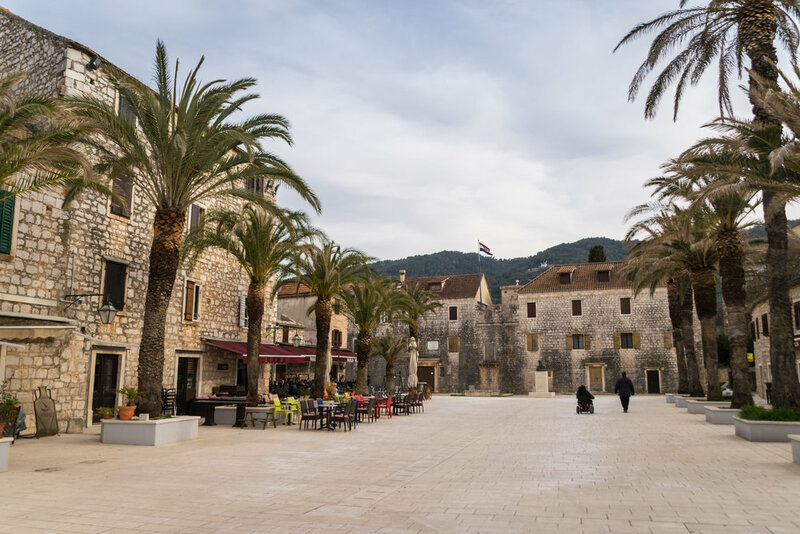 It’s worth noting that Stari Grad and Hvar city are completely separate (and equally beautiful) towns on opposite sides of the island, and Hvar is more popular in the summer because of its proximity to lush, secluded islands. 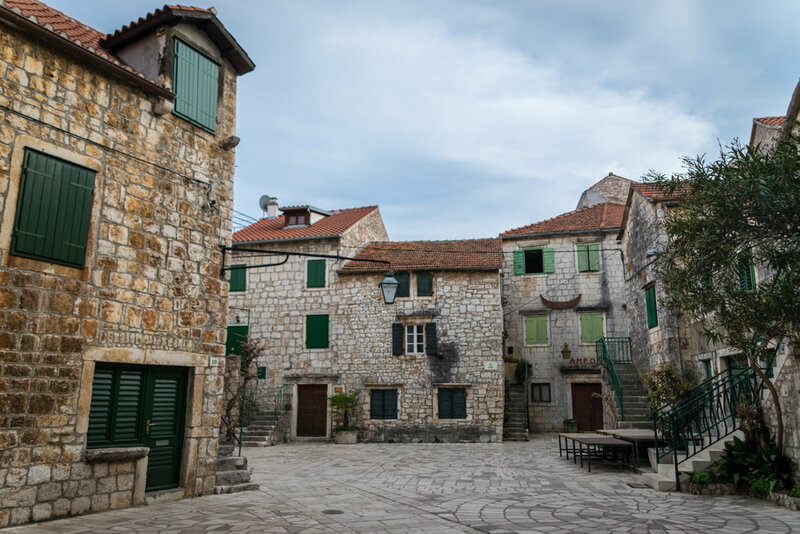 Despite the gorgeous weather, the island of Hvar was quiet with the majority of shops and restaurants being closed. Meaning I got to explore the lavender-filled island with my sidekick Mango and feel like a local for a week. Ahh, the good life. This quaint community of 3,000 on the northern side of the island is one of Europe's oldest towns. 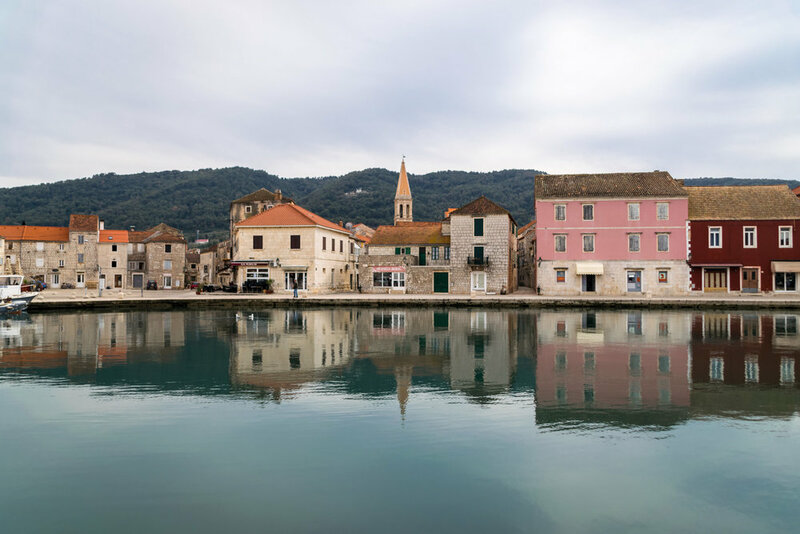 Greek settlers founded Stari Grad in 384 BC because of its protected location and proximity to agricultural lands. 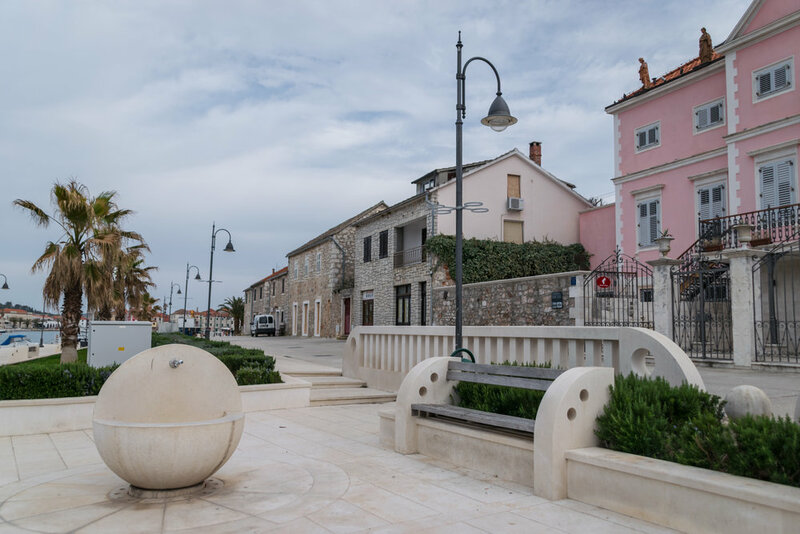 It's situated at the end of a long bay of clear blue-green water (devoid of boats when I visited due to a construction project) and is included in the UNESCO World Heritage Site Stari Grad Plain. 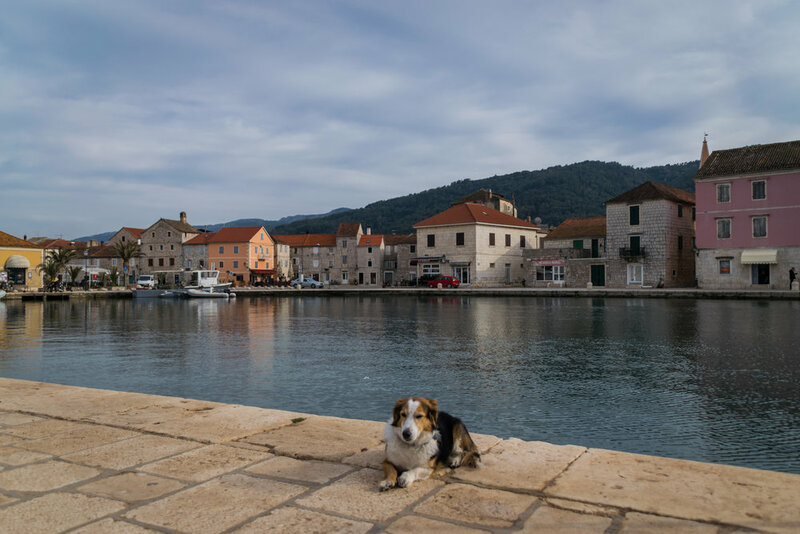 Sun-drenched Hvar is slightly bigger than Stari Grad with the same small-town charm. There were many locals enjoying the nice weather with a drink on the patio but I couldn't find a single restaurant open (I resorted to buying bread and pesto at the grocery store to quiet my empty stomach). 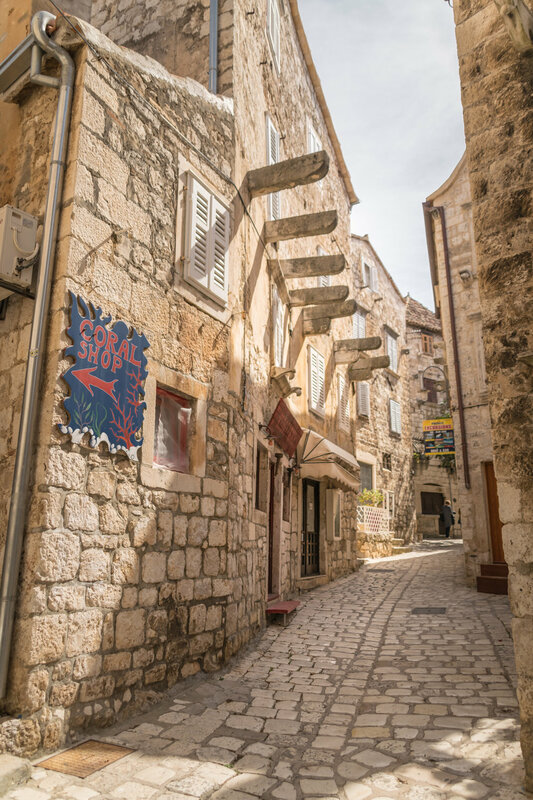 I picked up a brochure at the tourist office and had a leisurely stroll around town, admiring limestone buildings that date back to the 13th century. What I find most unique about the Stari Grad Plain UNESCO World Heritage Site is that it remains virtually unchanged since the Greek developed it 24 centuries ago, and locals to this day grow olives and grapes in plain's fertile soil. In the 4th century BC, Greeks founded a colony here and divided the land into equal plots separated by a grid of pathways and dry stone walls. 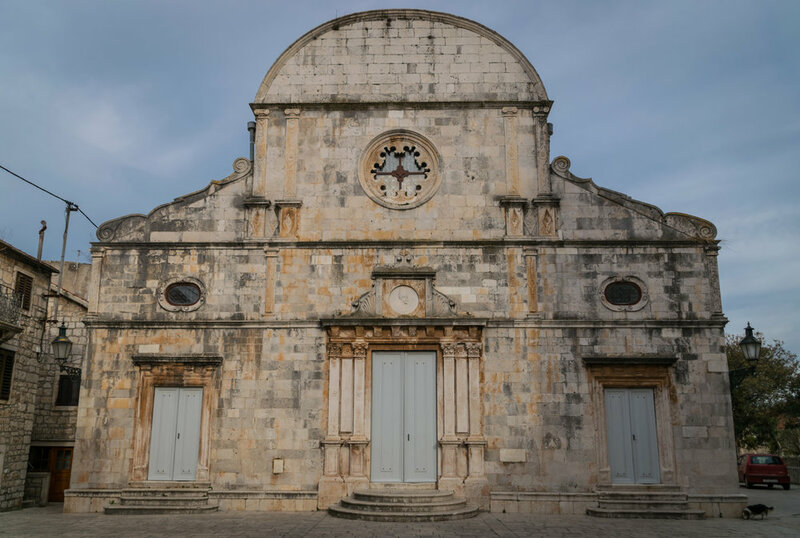 At first I did not grasp the concept of the site until I picked up a local map, which explained the expansive site and identified highlights, including archaeological sites, churches, and ethnographic heritage. Hvar island is spread out and mountainous with local buses connecting the major towns. There are many well-marked bike routes, but frankly I'm not a fan of long-distance cycling (the Netherlands is my one exception). So, I grit my teeth and rented a car to traverse the island because I wanted to visit remote spots that were impossible to get to by foot or bus. One sight that I missed was one of the world's oldest living olive trees, dating back to 500 BC and located in Zastražišće. I'm proud to say that I taught myself how to drive manual that day, but I'm not proud of the condition in which I returned the car. Side note: rural roads in Hvar can be unpaved, rocky, and strewn with tree branches, making for quite the white-knuckled adventure.